We love art and the love of connecting with works of art and culture that has enjoyed years of preservation is incomparable to new creations. Nollywood continues to give us new stories, stories that in years to come we will look back and feel great joy. This year Nollywood served us with art from varying degrees. I’ve considered saying this is the best year for Nollywood so far, but I hold back because many other amazing jobs of 2015 remain impressive. There is no denying that 2016 was a defining year for Nollywood. There were a lot of amazing and definitive events that happened over the year and as 2016 comes to an end. It is time to think of all the amazing TV series, the spectacular films, the memorable characters, the dialogue that made us think, smile, laugh or act. Also the rich content, the individual achievements garnered by industry influencers that made us proud. The year has been exceptional. We’ve had a remarkable year in entertainment and it is the red light that proves that Nollywood can only get better. Nollywood Observer has been active with movie news, updates, countdowns and reviews with a need to take the industry to a new level and comfortably, we say we succeeded. ‘76’ ’93 DAYS’ AND ‘OLOIBIRI’- THE POLITICAL FILMS THAT MATTERED: Many of us pay little attention to history and how it has shaped the people we are. This year a lot of filmmakers decided to document parts of our history. Films are here to teach, remind and sometimes challenge. 76 is a film that has been in production for over 3 years and finally we were able to see the fruit of the labour. It is a film about such an important time in our history as Nigerians, a story that is very close to the director’s heart but relates to us in many ways. For 93 Days it is a story that appeals to us to do better, think better and strive better and technically speaking it is the best of 2016. It is a film with rich content that was smartly adorned with the best technical efforts. It is a memorable one, the type that will not be forgotten. ‘76’ told us a story but ‘93 Days’ and Oloibiri challenged us. 2016 is not over, yet, a few more days to go but Oloibiri is the best film I’ve watched, not of 2016 but in a long time. Oloibiri scrutinizes wholeheartedly the reality of the Niger Delta. Many people have read of the Militants and many have no idea what they are agitating for but I implore you to spend time in the cinema watching Oloibiri. It is the beginning of a necessary education. Beyond entertainment, Oloibiri mirrors the grievances of the people in the Niger Delta and it should affect us all as Nigerians. It connects us with what matters most- family and through family we see an important story that teaches so much. A film can give us a fraction of the story but it can also trigger action. Our TV screens enjoyed a lot of amazing stories. Not series aimed totally for entertainment- most of them were highly engaging. 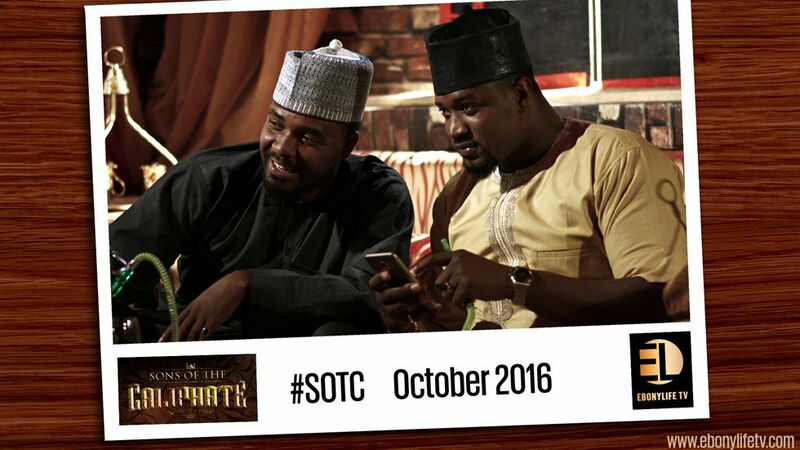 EbonyLife TV’s new political and cultural series, Sons Of The Caliphate, premiered last quarter of the year with the mission to banish the stereotypes about Northern Nigeria like never before. The high-profile television series showcases a part of the North which has remained in the dark for ages. Who would have believed the Northerners enjoy the lavish lifestyle portrayed by Kowa Caliphate? And like never before, the drama brings out the best of Kannywood. But that wasn’t the only great TV series from Ebony Life. In an age where we are conscious about how women are treated and if, they are getting what they deserve and duly, we get a gender persuasive drama such as The Governor. It is inspiring watching such a TV series. The idea to make it a TV series is even more commendable. It was aired every Thursday with a new message. It emphasized on this message continuously and we can all tap from the strength of Angela Ochello in all our endeavours. When I say TV was great, I am also talking about Rumour Has it. Uru Eke made a splash with this. ‘Rumour Has It’ is one of the jobs that makes 2016 one of the most memorable years with regards to Entertainment. There were also great shows like Hush. A continuation of other shows such as Jenifa’s Diary and Dowry, there was also the riveting Delilah, thanks to the expertise that comes with age, Clarion Chukwurah and Paul Obazele made this truly memorable. 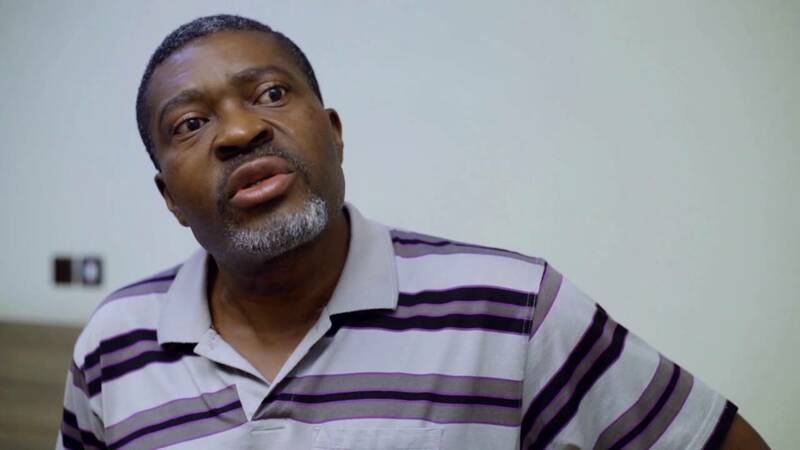 Professor Johnbull gave us an opportunity to enjoy Kanayo O. Kanayo in action, absolutely hilarious. However, we expected a lot of TV returns. For example, The second season of Before 30 and Desperate Housewives Africa, while these series did not return, we hope to watch more amazing things on TV in 2017. Abba T Makama was compared to a young Spike Lee by the Hollywood Reporter. An amazing thing to say! He has been bubbling under; making documentaries but his artsy film Green White Green has pushed him to the fore front. Some have gone as far as calling him the new Kunle Afolayan but Abba’s difference is what we need and we hope to enjoy more in years to come. Adeola Osunkojo is able to manage the web series genre perfectly and this year, we got two amazing web series from this young filmmaker. Patience Oghre gave us The Novelist and Three Wise Men. She has been up to amazing things. Judith Audu also does an amazing job with producing films like Just Not Married and Gone Grey. For actors we have sensational new success stories such as Emma Oh My God, Zainab Balogun, Somkhele Idhalama. This year the effort was all round and it was a revelation of many talents that have been bubbling under and had the great opportunity to blossom fully in 2016. The year belonged to women and they owned it in all ramifications. The AMVCA set the pace with big wins for Stephanie Okereke for her bold effort with Dry and then for Genevieve Nnaji and her co-producers for Road to Yesterday. Mildred Okwo started the year with Suru L’ere, a comedy that combines new faces with experienced actors. 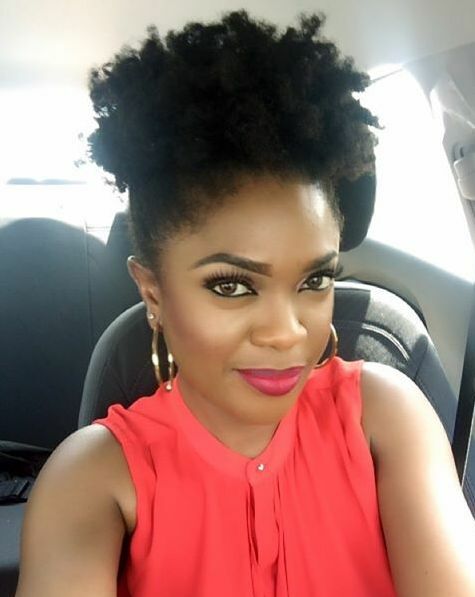 Omoni Oboli made a splash with Wives on Strike a moderately budgeted film that broke Box Office records this year. Adeola Osunkojo gave women something to smile to, thanks to the bold story in Rumour Has it. Tope Oshin put together a group of talented and inspiring women and they paid tribute to the woman who started it all Amaka Igwe, in the documentary Amaka’s Kin. Kemi Adetiba has one of the best comedies of the year and it could turn out to be highly successful and a record setting film. The Wedding Party was worth it. Patience Oghre went bold with The Novelist, it is unusual seeing a woman taking charge of a thriller but she did it. She also helmed the affairs of Three Wise Men. There were great films that made us laugh this year. Omoni Oboli’s Wives on Strike and the beautifully executed Ghana Must Go featuring Nkem Owoh. Bovi produced It’s Her day and AY Makun’s’ A Trip To Jamaica though it did not meet our expectation, it was also a good film. To crown the year in comedy, there are also great films like Brother Jekwu, The Wedding Party and 3 Wise Men presently showing in cinemas. In the present situation of economic hardship, we were able to relieve the stress thanks to these films. Many of our beloved veterans were not actively making movies but with films like 93 Days, 76, The Governor, Ghana Must Go, The CEO, The Wedding Party and Proffessor Johnbull. It was an opportunity to see many of the great talents back on our screens. Many of them made the films memorable. Nkem Owoh’s glorious return on Ghana Must Go is highly commendable. Sola Sobowale makes a wild comeback in The Wedding Party. We enjoyed Hilda Dokubo, Franca Brown, Ramsey Noah, Kanayo O. Kanayo, Tina Mba and we have more reasons why we need to continuously watch these great movie stars. The exposure at TIFF was phenomenal. 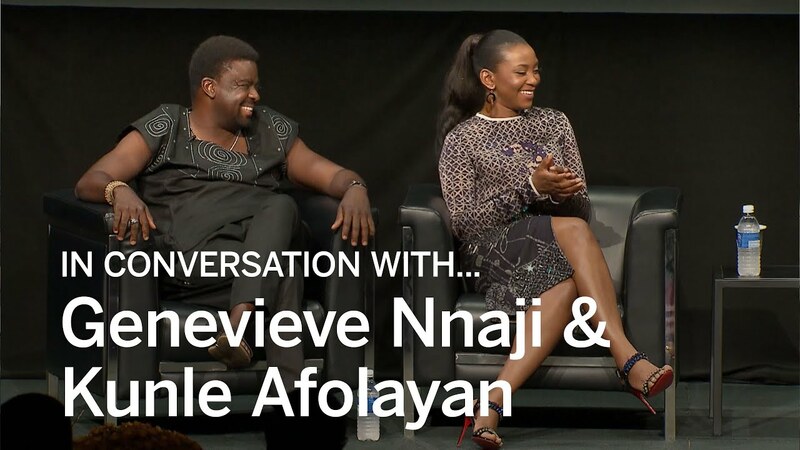 Nollywood was featured on the best film sites and the industry was beautifully represented by Genevieve Nnaji and Kunle Afolayan. Great films such as Green White Green, 76, 93 Days, The Wedding Party and The Arbitration all proved the growth of the industry. Other memorable films we saw in 2016; Gidi Blues, North East, Stalker contributed to the fantastic year. 2017 can only be bigger for Nollywood. Already the AMVCA nominations are proving the wild year Nollywood had in 2016 and for 2017; we have seen a lot of film trailers that have sparked our interest. It can only get better.